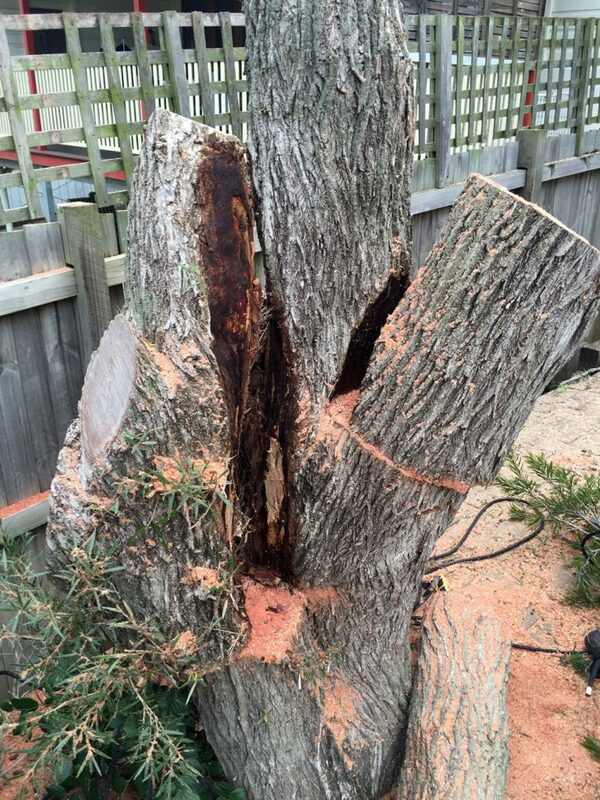 A very large Bottle Brush tree in West Ryde threatened the safety of two neighbouring driveways. When a tree divides into two equally large sections, bark often grows in the groove at the dividing point, and results in substantially weakening the tree. This is called Bark Inclusion. 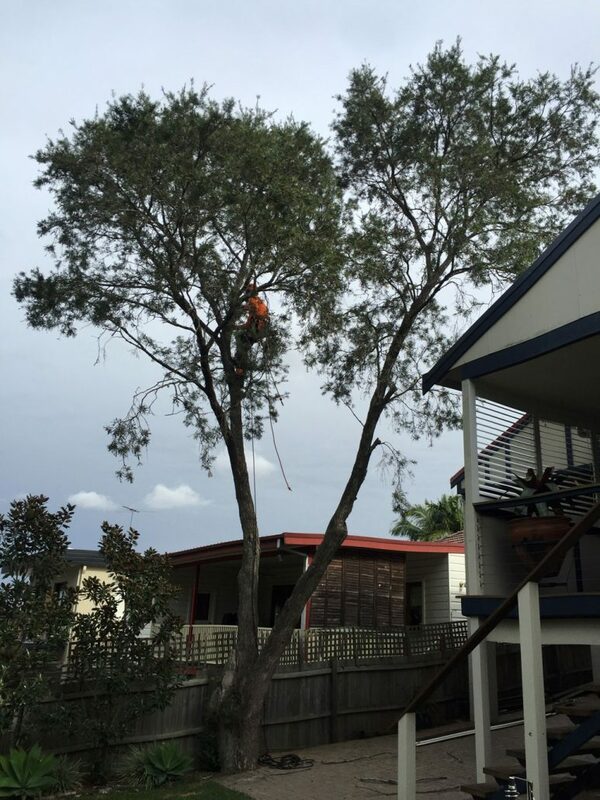 The tree in the photo was in danger of splitting and damaging two properties. It is important to recognise the danger of leaving such a tree in inhabited areas.